Sadly this is not the announcement of my publishing and speaking deal, but rather that I wrote a letter to the editor of the Hobart Metropolitan paper The Mercury. It was a response to this article about how we should get rid of faith from our morality debates. 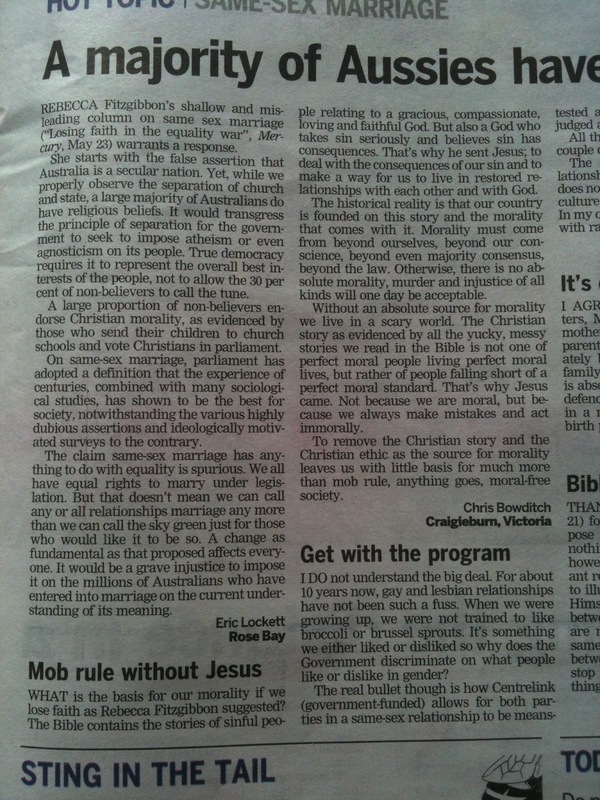 They titlted my response 'Mob Rule without Jesus' which I thought was pretty cool. Sadly The Mercury doesn't publish this part of the paper on line, so I have no way of knowing if anyone responds.